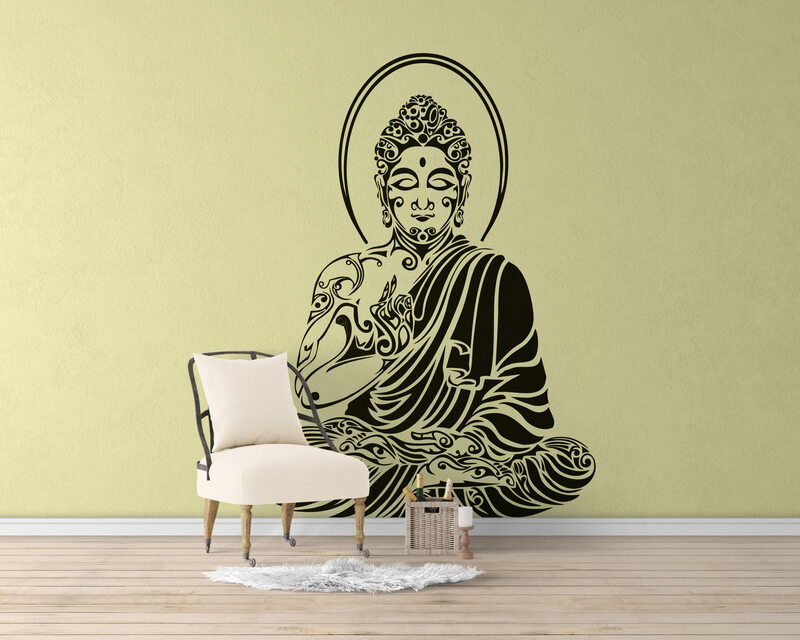 This is a remake of the Buddha silhouette wall decal in a tribal style... and by tribal we mean in it like as modern culture when taking the form of symmetrical patterns. But.. who is Buddha anyway? 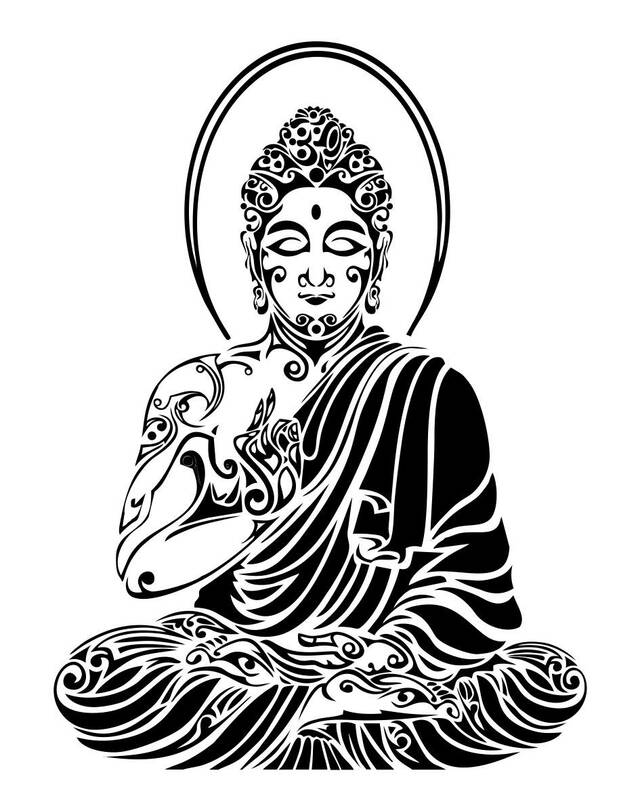 For those of you who don't know who Buddha is (or was), Gautama Buddha, also known as the Buddha, was an ascetic on whose teachings Buddhism was founded. He is believed to have lived and taught mostly in the eastern part of ancient India sometime between the sixth and fourth centuries BCE. Gautama taught a Middle Way between sensual indulgence and the severe asceticism found in the śramaṇa movement common in his region. He later taught throughout other regions of eastern India such as Magadha and Kosala. Gautama is the primary figure in Buddhism. He is recognized by Buddhists as an enlightened teacher who attained full Buddhahood, and shared his insights to help sentient beings end rebirth and suffering. Accounts of his life, discourses, and monastic rules are believed by Buddhists to have been summarized after his death and memorized by his followers. Various collections of teachings attributed to him were passed down by oral tradition and first committed to writing about 400 years later. Buddhism's main concern has always been freedom from dukkha (unease), and the path to that ultimate freedom consists in ethical action (karma), meditation and in direct insight (prajña) into the nature of "things as they truly are" (yathābhūtaṃ viditvā). Indian Buddhists sought this understanding not just from the revealed teachings of the Buddha, but through philosophical analysis and rational deliberation. 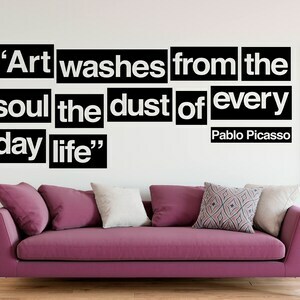 As you may see.. this is a easy and simple way to refresh your home's design with new and good feelings. Quantity: This sale includes ONE decal. Are you subscribed to our newsletter? Well.. if you have not done it yet.. let us just say that it is FREE and EASY to do! Besides, if you subscribe you will have access in first hand to all the newest decals and templates we develop as well as on-going offers and exclusive discounts! We send out emails from 1 to 2 times per week and if you change your mind you will be able to unsubscribe at any time! We at Brutal Visual Studio respect your privacy and are GDPR compliant. We do NOT subscribe any user without their explicit consent, and even if you make an order on our shop you WILL NOT be subscribed to our newsletters. In order to receive our newsletter you will have to manually subscribe yourself on the provided links. So... what are you waiting for? It takes less than 30 seconds to do it! We at Brutal Visual Studio respect your privacy! We take your privacy seriously and have our customer's best interests at heart. To fulfil your order, you must provide us with certain information (which you authorized Etsy to provide to us, either in our main website or at our ETSY shop), such as your name, email address, postal address, payment information, and the details of the product that you’re ordering. 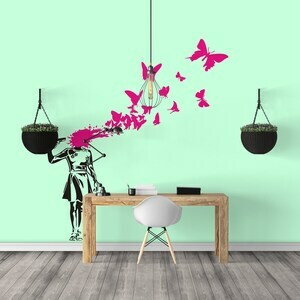 You may also choose to provide us with additional personal information (for a custom order of a Tshirt or Wall Decal, for example), if you contact us directly. We engage certain trusted third parties to perform functions and provide services to our shop, such as email delivery companies. If you inscribe yourself to our newsletter delivery list, we will then share this information with these third party companies, but only to the extent necessary to perform mentioned service, which in our specific case, we are referring to your email address. Your email address may then be stored locally on these third party delivery companies, which by their own turn compromise NOT to share or use them unless under our strict explicit command and exclusively to our sole marketing needs. Therefore your email will eventually be used for email marketing purposes within our sole company. After May 25th, 2018.. making a order on our store will no longer be enough to be automatically inscribed on our newsletter, you will have to inscribe yourself directly on our list and give us explicit consent that you allow us to send you emails about eventual offers. Your email address will then be eventually be used for receiving newsletters sent by these trusted providers under our request. Please note that you may remove yourself at any time from our newsletter by clicking on a special individually formulated link present in each email we send. All removal requests will be honored immediately, and your partial information (i.e., email address) will be, as well, permanently removed from our trusted third party partner companies. If We sell or merge my business, We may disclose your information as part of that transaction, only to the extent permitted by law. (d) protect the rights, property, and safety of our customers, or others. You may have the right to access and receive a copy of the personal information We hold about you by contacting us using the contact information below. You may also have rights to change, restrict our use of, or delete your personal information. Absent exceptional circumstances (like where we are required to store data for legal reasons) we will generally delete your personal information upon request. (i) our processing of some of your information based on our legitimate interests and (ii) receiving marketing messages from us after providing your express consent to receive them. In such cases, We will delete your personal information unless We have compelling and legitimate grounds to continue using that information or if it is needed for legal reasons. If you reside in the EU and wish to raise a concern about our use of your information (and without prejudice to any other rights you may have), you have the right to do so with your local data protection authority. For purposes of EU data protection law, We, Brutal Visual Studios under the private ownership of Mr. Cesar Silva, are the data controller of your personal information. 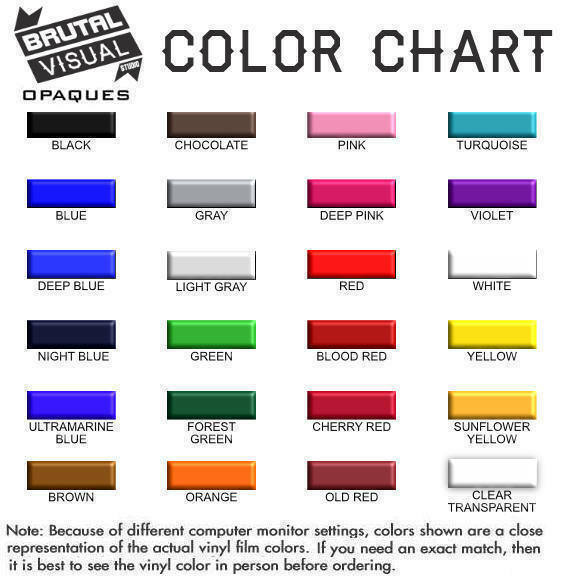 If you have any questions or concerns (generic or specific), you may contact us at brutalvisualstudio@gmail.com. Please remember that if you still have concerns about your privacy you can contact us with your questions! Can your decals be removed once applied ? Sure.. yes they can! All of our decals can be easily be removed once applied and no glue residues will remain, nor are they supposed to damage the surface on where they were originally applied to! We never had any macbook, laptop, wall, glass, paint, stone or generic surface damaged by these decals... however, some common sense is advised.. for instance, do not place the decal on a hot surface or it can melt (this is vinyl, not iron).. not use the decals on dusty or moist surfaces because it will void adhesions (although vinyl is much more mouldable and has far better mechanical caracteristics.. if common duck tape does not stick, chances are that vinyl will not as well). In doubt.. please ask.. we will reply ASAP. How soon can you dispatch my order ? How about returns ? All orders are shipped in 1 business day! If your order has a area of 0.25 square meters or less and if it does not show signs of usage you may return it to us. 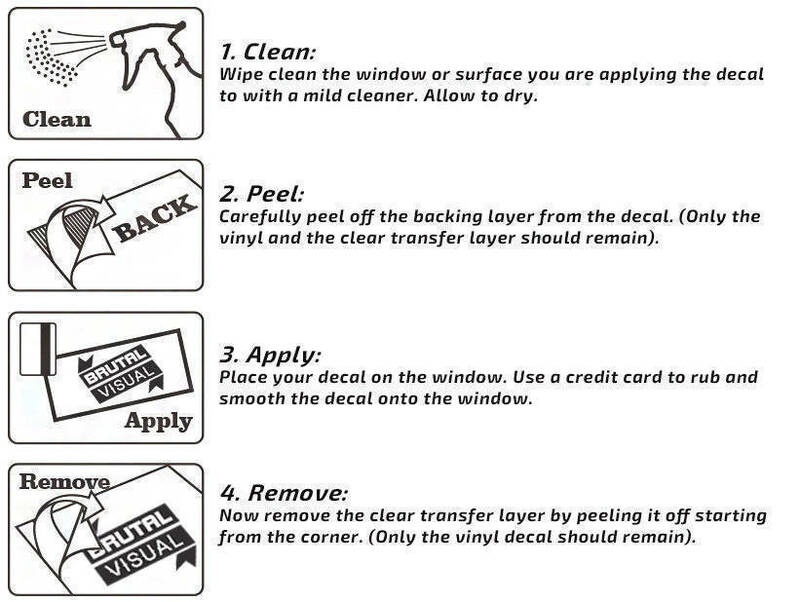 If you try to apply a vinyl to a wall before testing compatibility we will not accept return as particles of dust and residues will remain on the decal. 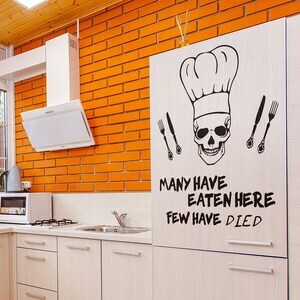 Due to the high cost of materials involved and because all decals are made by order entry in the client's requested color, orders with square area above 0.25 meters are considered custom made and are by definition not refundable or returnable. Even if the order is custom made.. please contact us if you have any issue. We will help!! We never said NO to client before.. so.. it is verrry unlikely that we will do otherwise with you! Do your T-Shirts fade in time ? Well...nothing lasts forever, but it is not expected to fade! 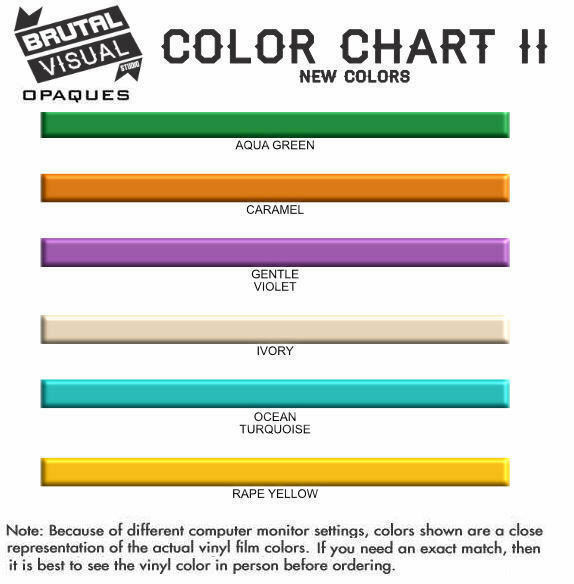 We use a special vulcanization technic in order to print our shirts.. so no color fade is expected. A special type of colored rubber is injected on the fabric making it a permanent die. THESE ARE NOT A PRINTED TSHIRTS. We vulcanize a polyurethane membrane on top of the fabric forcing it to penetrate inside the cotton mesh by a special heat and localized pressure procedure.. this way it becomes permanent and VERY durable. Using this procedure, your design wont fade or chip off. The shirt has a soft touch as well, very similar to silkscreen with plastisol inks (softer)..
Black will stay black.. and white will stay white.. as well as all other colors. Don't worry about that!! The design i see in the sample image is the design i will get? Yes it is.. what you see is what you get! In all cases, the final image for reference, would be the black and white sample image representation present in all item's descriptions. This means that the application example photo may or may not be mirrored . You, the client, unless otherwise requested, will always receive the design with the orientation present on the black and white sample image of this particular ordered product. If no black and white image is present as a representation of the final design on the product you have chosen, then the orientation of the sample image on the application example is to be considered as final. Also, please be aware, that big decals may be cut in to smaller pieces for better application.. Yes... this is possible.. but only for bulk orders. Please contact me with the amount of items you would like to have and i will get back to you with a final proposition. If you are a business within EU please send us your VAT ID as well for better quotation. Can you do other sizes as well ? Sure.. no problem on it! What supplies brands do you use? Unless otherwise stated on the description of the product, all Tshirts are made of 100% pure cotton by the American "Fruit of the Loom" brand, Rolly, American Apparel or MK. As for vinyl goes.. we use mainly Ritrama, Oracal, MultiFix, 3M, VF3, Avery and Hexis. There are a lot of brands for vinyl but we do prefer these as they are the most stable in production (and they not cheap by the way). We use good quality vinyl with exterior durability of at least 5 years (usually we do use 5 to 7 year grade vinyl for exterior conditions.. which means that on the interiors these can last for about 12 years or more). On some cases, depending only of the design and placement destination we may use other types of vinyls. Can you do a personalized order for me? Sure i can. Just contact me and i will quote it for you! Different designs with the same square size can have different costs as the difficulty in cutting may be higher or lower. Also, the chosen production material will differentiate the costs. All jobs are different .. so just contact me and i am sure we will manage a good deal for both of us. What is the conversion between Cm and Inches ? Since BrutalVisual Studio is based on Europe we use the metric system. 2) 1 centimeter = 0.3937 centimeters . Please also note that : 1 centimeter can be noted as 1 cm, and.. 1 Inch can be noted as 1 In. I like one of your designs but i would like to change it a little bit.. can you do this for me? 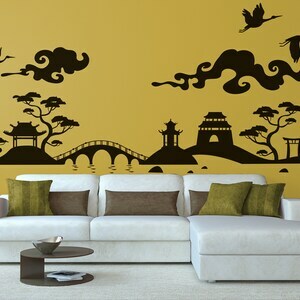 All products can have minor adjustments on designs if required by the buyer and those are FREE. I can also make small insertions of names, slogans, brands, logos of other small taglines on the current design. Just make a comment when ordering and i will get back to you after the order is complete, or... you can contact me right now and say what is on your mind. No extra-charge is done assuming that these are minor changes without too much time consuming. If you require no changes, well.. then you just have to finish your order and wait for the delivery. All FREE-OF-CHARGE modifications or addons will be done in the same color and material as the chosen design.